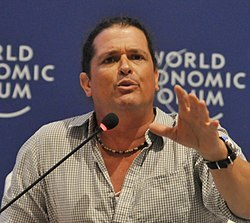 Carlos Vives is a Colombian media personality who was born on August 7, 1961. Carlos Vives's filmography includes La estrategia del caracol, from 1994. Carlos Vives has a lot of listeners on Spotify with a popularity score of 76 out of 100 and about 2.8 million followers as of 2018. His most popular track on Spotify is "Robarte un Beso" from the album VIVES. Carlos Vives's Instagram account (@carlosvives) has a sizable fanbase with around 5.6 million followers. His recent posts to Instagram have gotten around 14,000 likes each. There is only one movie featuring Carlos Vives as of 2018. La estrategia del caracol is the only recent movie featuring Carlos Vives. 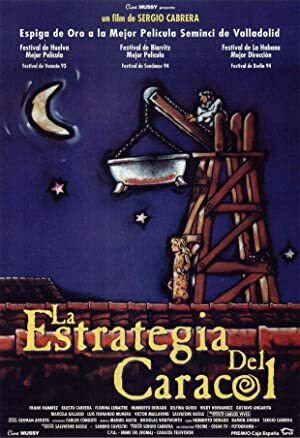 La estrategia del caracol, released in 1994, featured Carlos Vives as ...JosĂŠ Antonio Pupo. With 2.8 million followers and a popularity score of 76 out of 100 as of 2018, Carlos Vives is one of the most popular artists on Spotify. VIVES and Un Poquito - Single are some of the more popular Carlos Vives albums. Notable tracks from these albums include Robarte un Beso, La Bicicleta, and Un Poquito. Robarte un Beso has a popularity score of 80 out of 100, making it the most popular track from Carlos Vives. La Bicicleta and Un Poquito have popularity scores of 75 and 73, respectively. The Spotify popularity score is on a scale from 0 to 100 and reflects the number of times the song has been played and how recently it has been played.